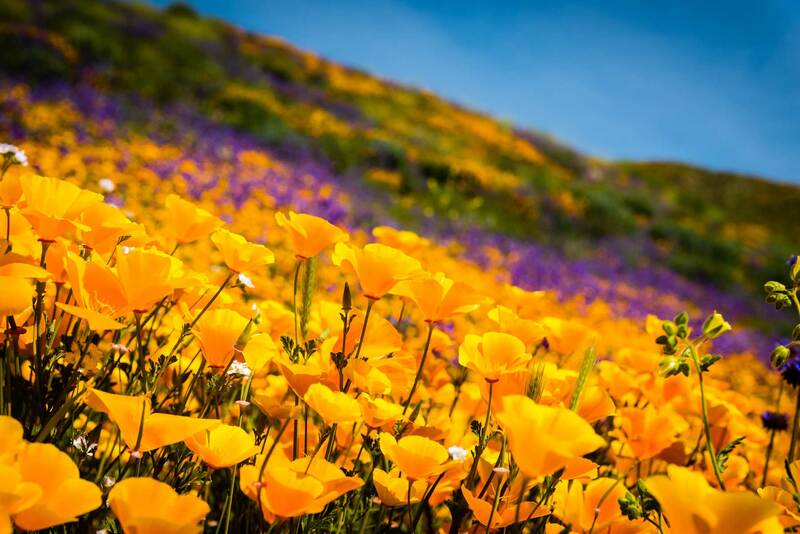 Perhaps it follows that a “Super Bloom” would be the heralding of a “Super Spring.” Well, it certainly is beginning to look that way around here! Plush buds are emerging everywhere, the over-the-top sapphire blue ponds are providing an Air B&B to the ducks passing through, and the deer—fat from nonstop grass bingeing—appear to be smiling…honestly. Darrell believes them to just be pregnant! As I have written many times before, spring... the locals’ favorite season. Extended to all guests staying two nights, our regular dinner is half price. OMG…such a deal! All four courses: $22.50! Of course this cannot be combined with other specials, nor extended to groups. Dinner is only available on Saturday nights, so guests staying other nights (Thursday and Friday) will have their bill reduced by $45.00. The Sunday/Monday Dinner special is ongoing and even a better deal. Included in an Easter stay is an expanded lavish Easter Brunch. A “survival” modified breakfast will go like this: all will have access to coffee, tea, a healthy breakfast bar and fruit at the regular 8:30 AM time. A breakfast-to-go can be pre-ordered if you must depart early. Otherwise, our bountiful Easter Brunch will begin at 10:30 AM, at no additional charge to our staying guests! Two favorite upcoming events are on the docket in the next few weeks! The Wild Flower Show, May 3-5 and the Julian Family Fiddle Camp April 10-14th. The Chamber has additional information about both of these highly anticipated Julian traditions. volcanmt.org will give you the scoop! Volcan Mountain Foundation is introducing a Nature Education Series beginning April 14th. This series will continue for much of the year, each includes a speaker/naturalist who will conduct a guided walk to continue the discussion. Our Susan Meyer had her sweet hand in this very appealing project. Happy springtime to all... we hope to see you soon!